Are you flying a drone without a pilot’s license? Laugh if you will, but the Federal Aviation Administration adopted rules recently to regulate the commercial operation of drones. 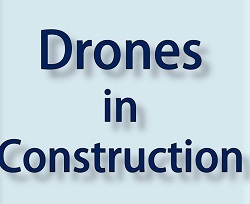 Drones offer extensive benefits to all the parties involved in construction projects, but drones are not mere off-the-shelf toys that you can take out of their boxes and fire up for use. For better or worse, operating a drone is legally considered operating an aircraft in U.S. airspace, with all the attendant regulatory burdens and legal risks. This webinar’s goal is to demonstrate the importance of a detailed project schedule specification in a construction contract and identify the key components that can be used by both parties for better project control, decision-making and, if necessary, resolution of claims. Construction productivity expert Michael Casten presents his views and techniques for development and management of productivity improvement. 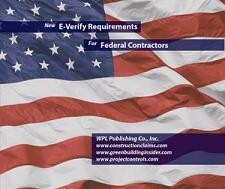 The average construction operation underperforms production capacity by a factor of three or four times. Careful study of work at the crew level will reveal massive amounts of delays, wasted effort, and inefficient and ineffective use of resources. Casten provides solutions to help project managers, supervisors, and engineers find opportunities for reengineering process and resource utilization that can almost immediately double the output of many operations. Deke Smith and Michael Tardif -- two pioneering experts in building information modeling (BIM) will walk you through the steps of developing a BIM strategy to foster organization growth and profit. From how to match the right level of BIM for your role on the project team to developing the right personnel to lead and operate BIM tools, this session will help you clarify your objectives and set you on a cost-effective path to become a BIM-enabled construction industry player. There is great demand to find industry practitioners who know the industry. Here’s your chance to learn how to approach a turnaround schedule, or to tune-up your current process. 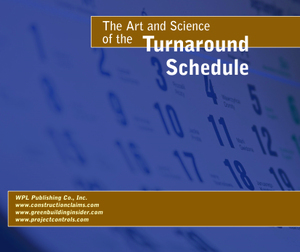 This two-session webinar on best practices for owners, contractors and schedulers in preparing and executing the Turnaround Projects presented by Jack Pernice and Gordon Aronson, who have 75-plus years combined experience in the construction management, scheduling and plant turnaround industry. 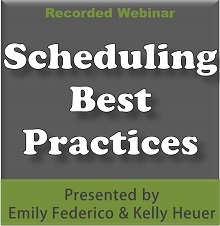 These twin events will walk you through a soup-to-nuts coverage of what a turnaround schedule is, what needs to go into the planning process and then the actual scheduling and execution process. Critical to the success of any green building project, in any phase, is having a clear understanding of the costs and benefits associated with specific high-performance building strategies. This webinar provides a case-study-based overview about the economics of green building. Learning from real cases, participants will see various green building strategies for their economic, environmental and social impacts – the “Triple Bottom Line”. While considering current market conditions, legislative pressures and consumer demand, participants will be presented with a variety of real-world green building economic issues, with a focus on translating each of these aspects of a green building into hard currency. 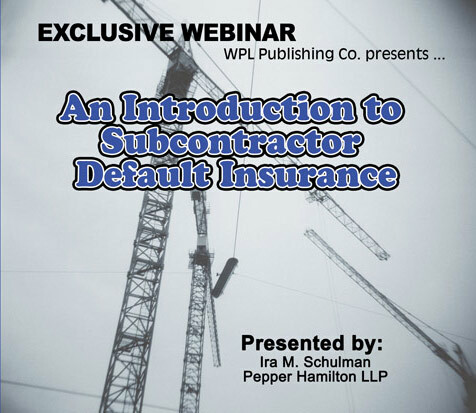 Attend this informative webinar to gain knowledge and insight based on practical experience of handling both the construction and insurance components of construction defect claims of all sizes, and implicating all types of insurance coverage, both first- and third-party. In addition, this interactive program will provide updates on recent case law regarding these issues and information about new insurance products also potentially applicable. 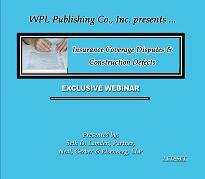 The webinar will benefit those looking for an introduction to, or update on insurance coverage disputes and construction defects, or those looking for insights based on recent practical experience.